The NBA All-Star Game is around the corner and the league is set with the participants of two of the biggest events of the weekend. 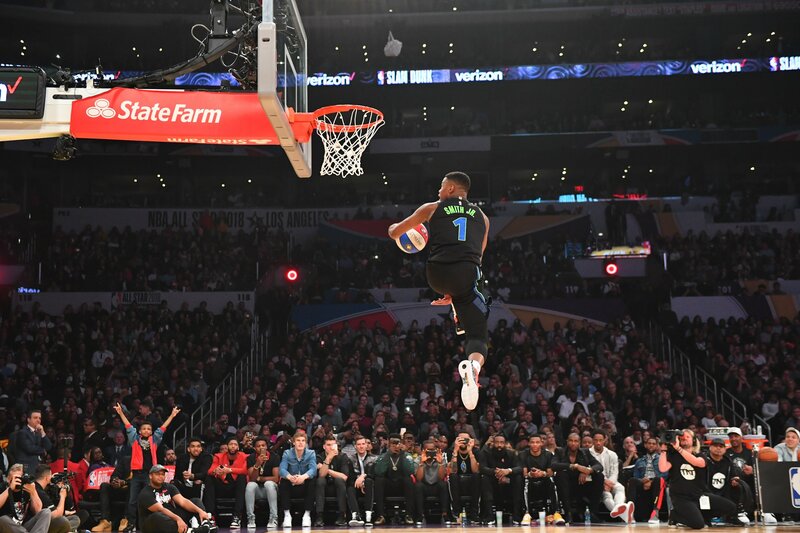 Players for both the dunk contest and 3-point shootout have been announced and some of the names should not surprise you at all. Especially in the 3-point contest. On the dunk side of things, only four names are present: Dennis Smith Jr., Miles Bridges, Hamidou Diallo and John Collins. Off top, Bridges and Smith Jr. should be in the battle for the final, but one of the other names can creep up. As far as the 3-point contest is concerned, both Curry brothers will be participating, considering the two grew up in Charlotte with their dad Dell. Last year’s winner Devin Booker will also be in the mix, as well as Damian Lillard, Buddy Hield, Kemba Walker and the OG Dirk Nowitzki. NBA All-Star Saturday night will go down February 16 in Charlotte, a night before the All-Star Game, which takes place on Sunday February 17. All live on TNT.